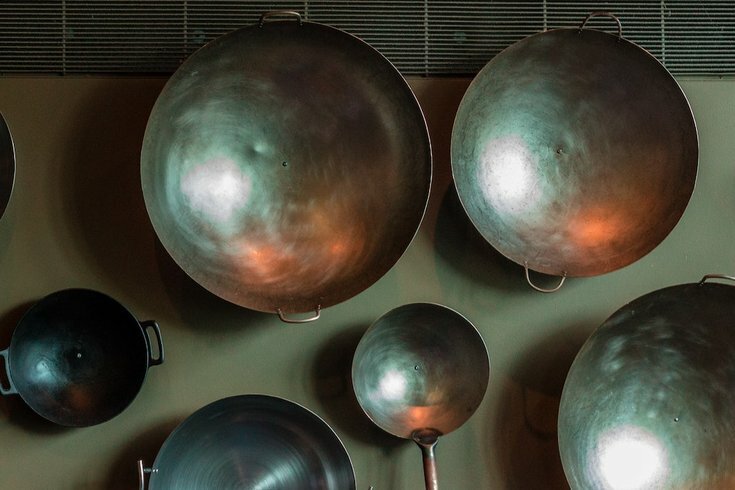 Nonstick cooking pans contain toxic chemicals PFOS and PFOA which a recent study linked to causing male reproductive issues. As a society, we know to fear chemicals — whether they’re sprayed on food or used to manufacture cleaning products — for their harmful properties, but a new study suggests that there’s another reason to avoid certain chemicals: They can impair male reproductive health. The study, published by the Journal of Clinical Endocrinology and Metabolism, found that young men exposed to toxic chemicals PFOA (perfluorooctanoic acid) and PFOS (perfluorooctanesulfonic acid) — often found in nonstick cooking pans, firefighting foam and waterproof products —have a range of problems with their reproductive systems. The study also explains how the chemicals interfere with hormones inside the cell. The research was conducted in Veneto, Italy, a major area affected by industrial use of PFAS which has caused drinking water contamination and led to the chemicals accumulating in people’s blood, The Intercept reported. Closer to home, residents who live near the former Naval Air Warfare Center in Warminster and the former Willow Grove Naval Air Station in Horsham are beginning to clamor regarding the effect of PFOA/PFOS contamination in their ground wells. Firefighting chemicals used at the military bases for decades have infiltrated groundwater. The problem has been seen near military installations nationwide, and a number of communities closed their drinking water supplies in 2016. A number of local wells have been closed in recent years in neighborhoods around the former Navy facilities, which are less than 4 miles apart. In May, a draft report released by the U.S. Agency for Toxic Substances and Disease Registry, part of the U.S. Centers for Disease Control and Prevention, concluded that some residents who live near the former NAWC and WGNAS facilities" received water containing concentrations at (a) level up to 15 times the EPA LTHA," or Lifetime Health Advisory. The Italian study adds to a number of health-related concerns about PFAS contamination, which some studies indicate may affect growth, learning and behavior of infants and older children; lower a woman’s chance of getting pregnant; increase the risk of cancer; interfere with the body’s natural hormones; increase cholesterol levels; and affect the immune system. Researchers compared male high school students, whose average age was 18 and had been exposed to high levels of PFOA and PFOS in Veneto, to young men who hadn’t been exposed to the chemicals. The study was small, comparing 212 exposed young men with 171 controls in this part of northern Italy. They found that those in the exposed group had “shorter penises, lower sperm counts, lower sperm mobility, and a reduction in ‘anogenital distance,’ a measure that scientists see as a marker of reproductive health,” per The Intercept. The chemicals “have a substantial impact on human male health as they directly interfere with hormonal pathways potentially leading to male infertility,” the scientists concluded. After researchers observed the abnormalities the exposed group faced, the researchers delved further into the experiment to see how the chemicals might be affecting their reproductive development. Lab tests show that PFOA and PFOS can bind with testosterone receptors inside the cell and disrupt the normal function of the hormone. The findings of this study provide a potential explanation to a perplexing question researchers have been faced with since a 2017 study found that sperm counts in the United States, Australia, Europe, and New Zealand have fallen more than 50 percent. Environmental contaminants are being increasingly recognized as playing a role in this worldwide trend. Other known contributors to these widespread reproductive issues are plastic additives phthalates and BPA, which also pose a threat to men’s reproductive health. “The difference with these two PFAS chemicals is that they’re vastly more persistent,” Pete Myers, the founder and chief scientist of Environmental Health Sciences. Exposures to all of these pollutants can have a cumulative effect, Myers explains. Plus, PFOS and PFOA can stay in the human body for years and persist in the environment indefinitely. The findings of this study leave researchers with one lingering question: how to remove PFAS from blood. It’s especially concerning because these chemicals are transferred from mothers to babies during pregnancy, “we have to find a way to eliminate them,” researchers warned.